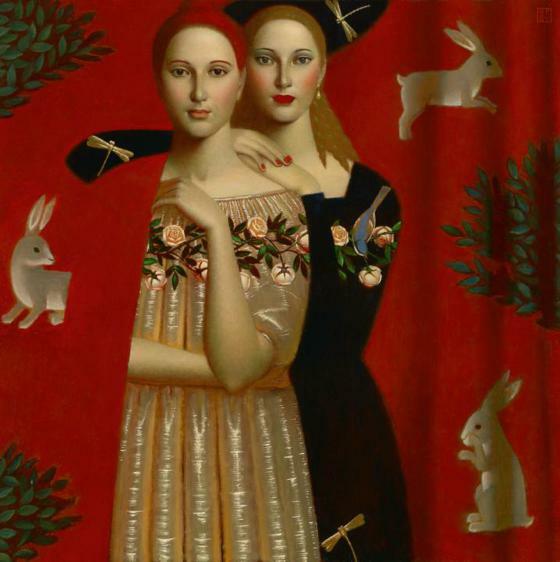 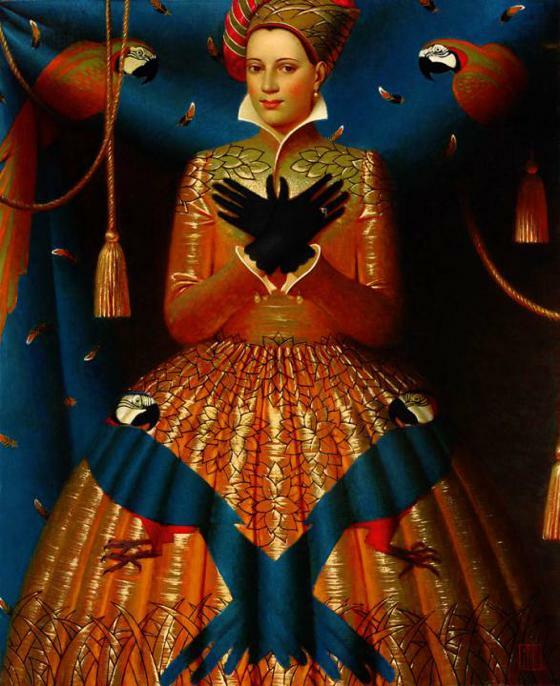 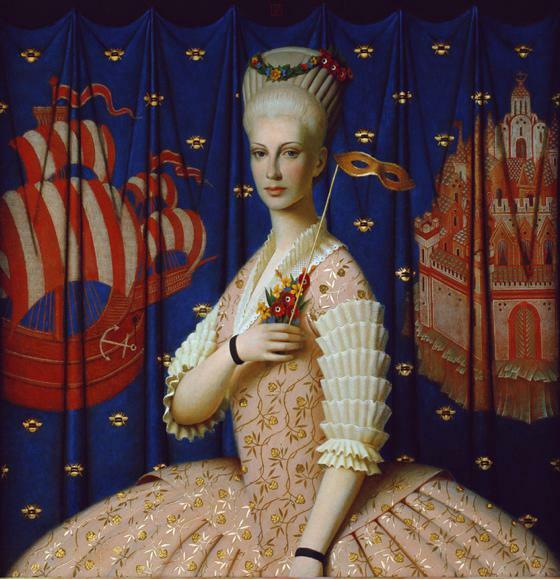 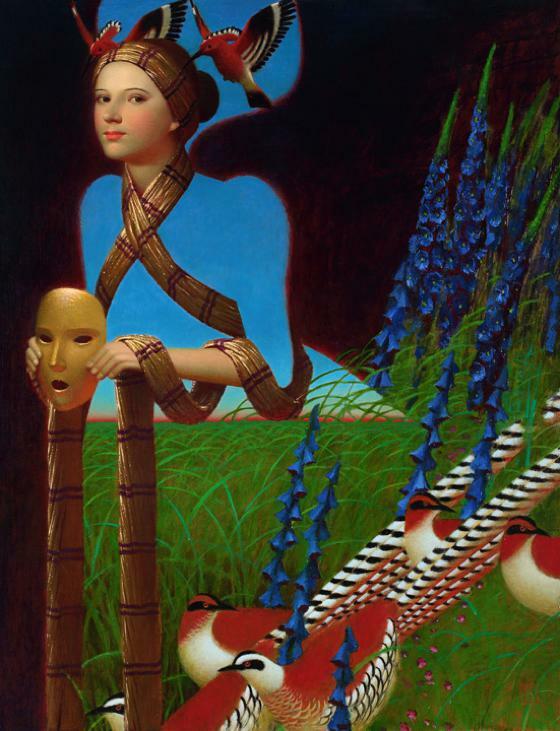 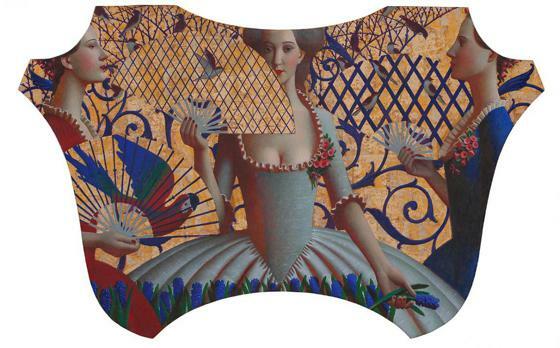 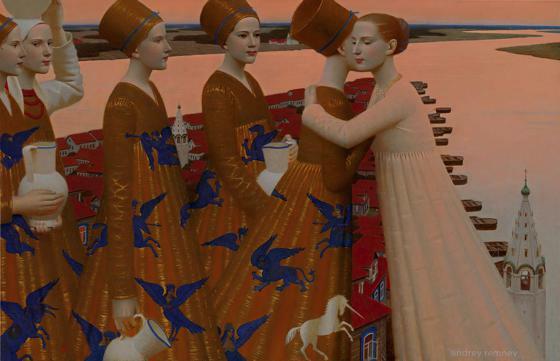 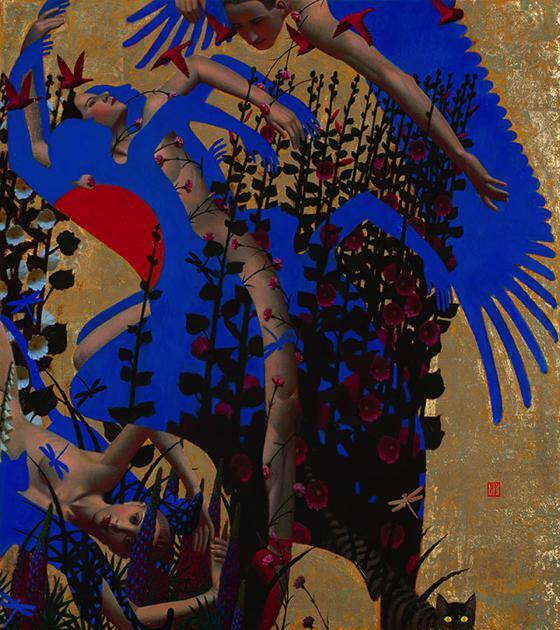 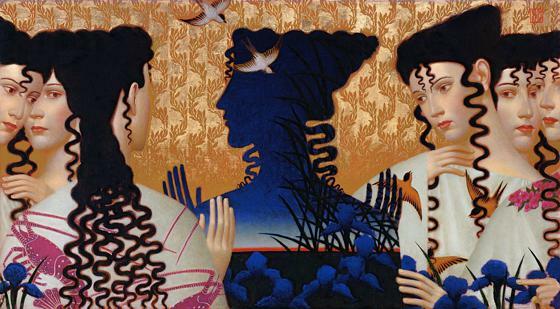 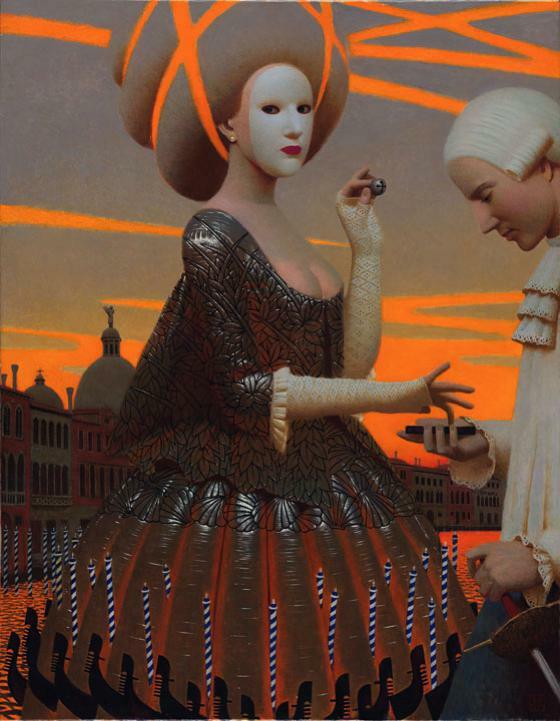 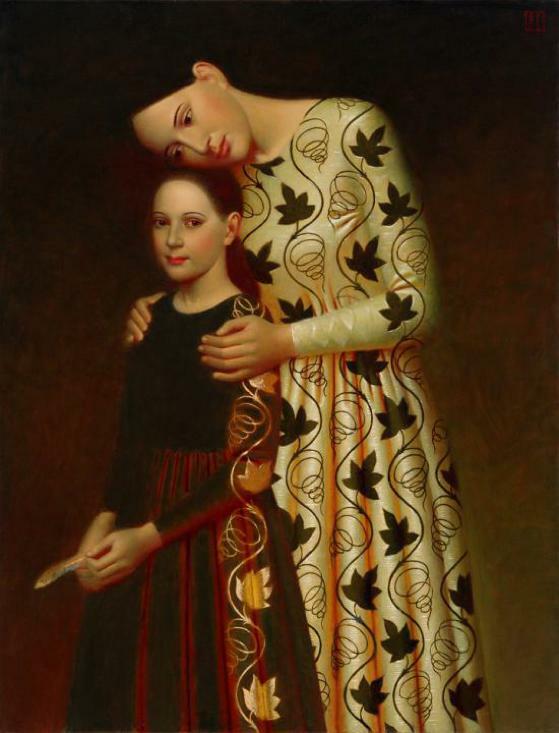 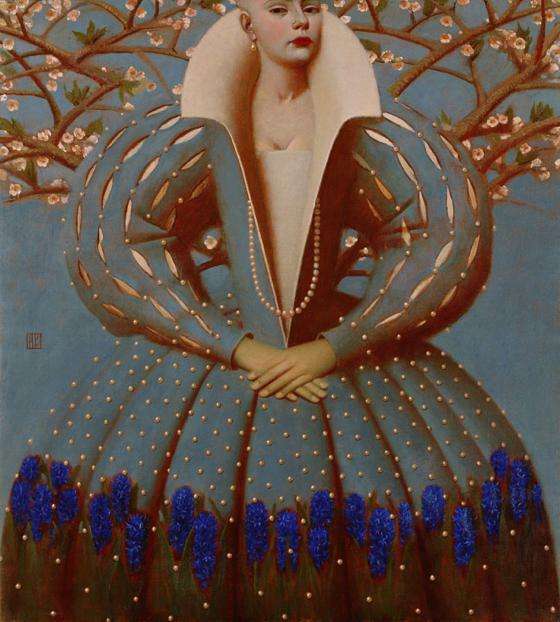 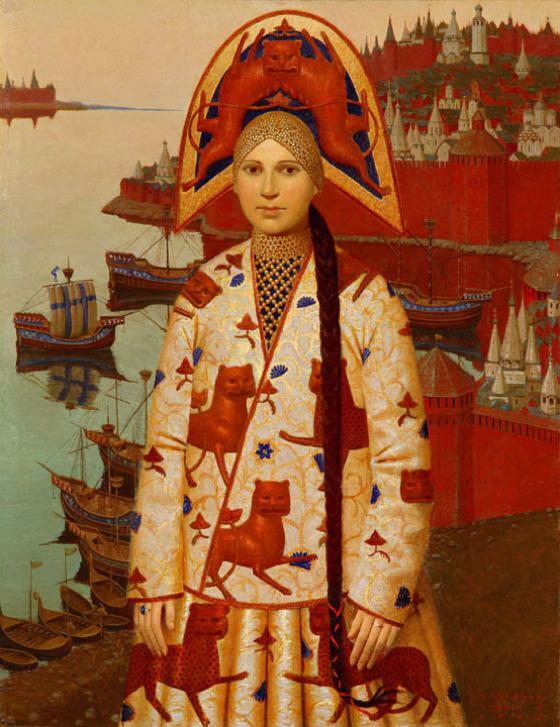 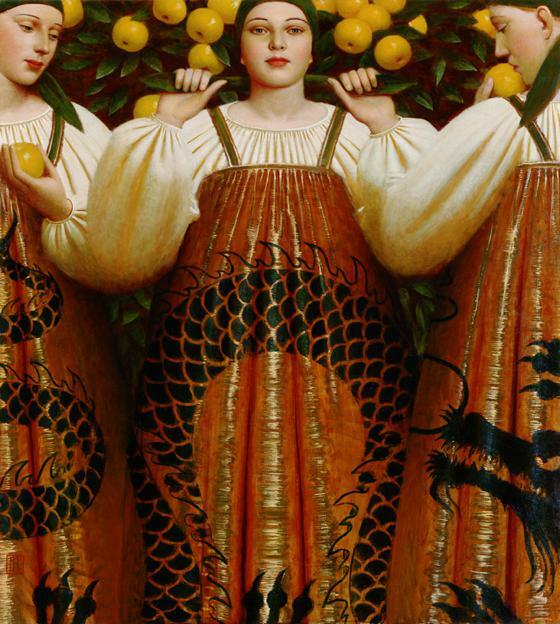 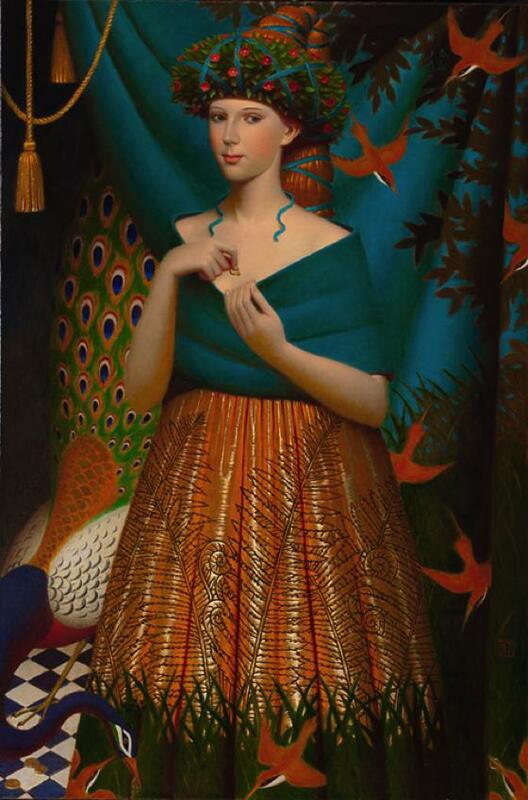 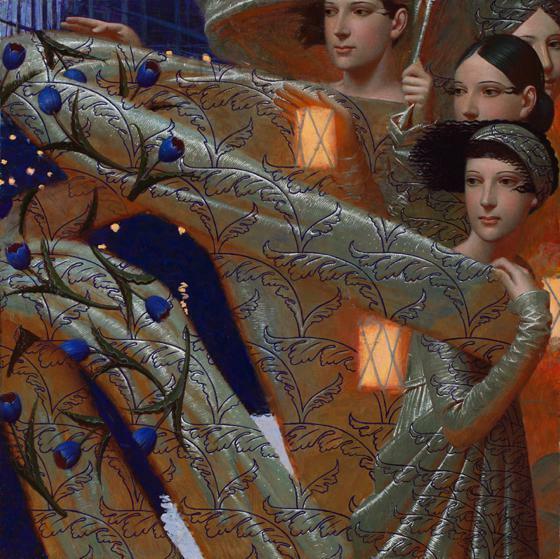 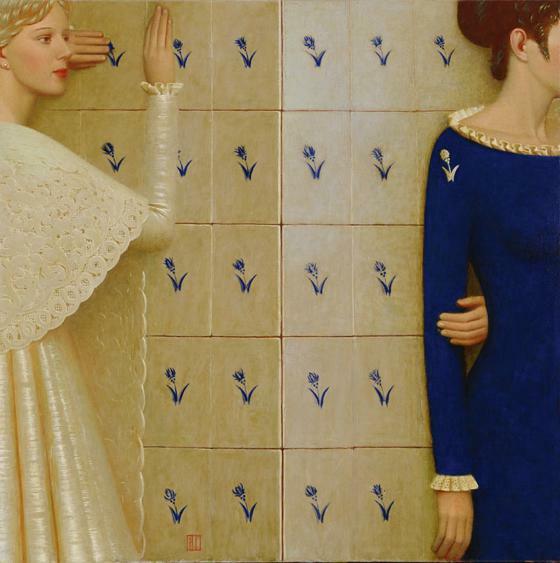 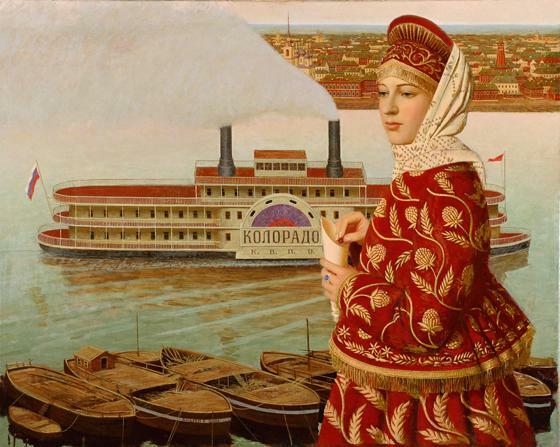 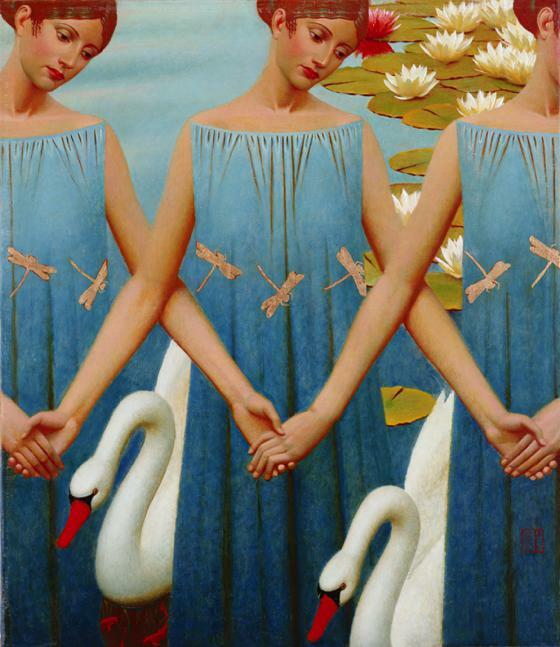 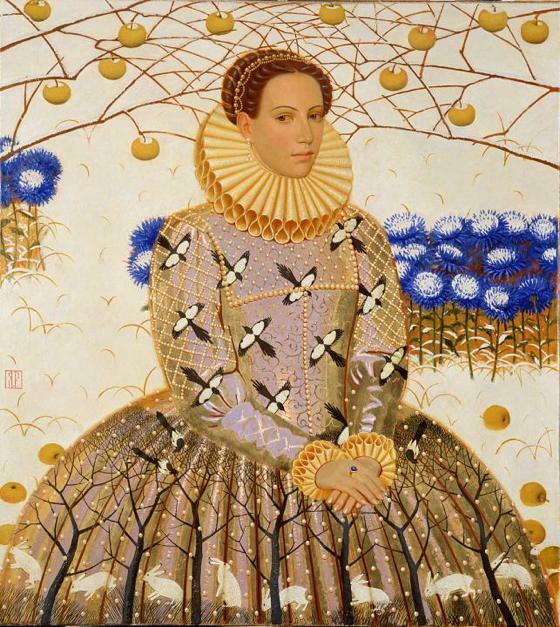 Andrey Remnev is a fantastic Russian painter, born in Yakhroma town, near to Moscow. 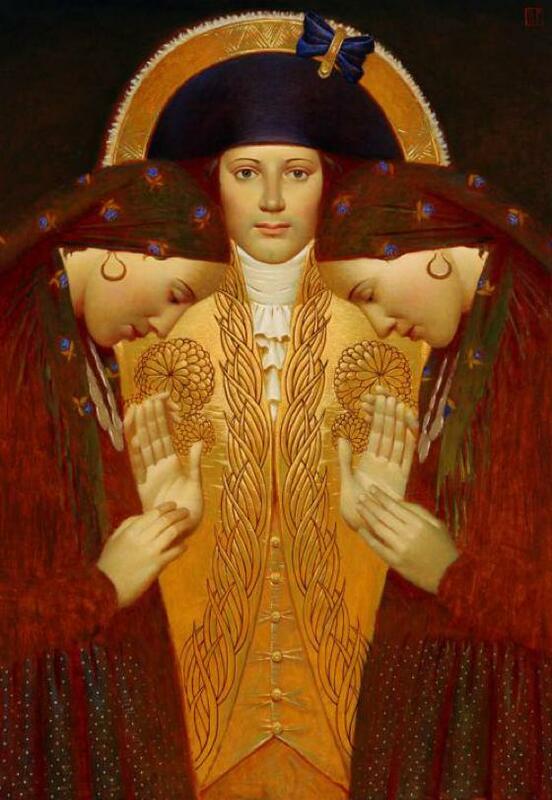 His style evolved from the ancient icon paintings, Russian art of the 18th century, the compositional innovations of the World of Art group and Russian Constructivism. 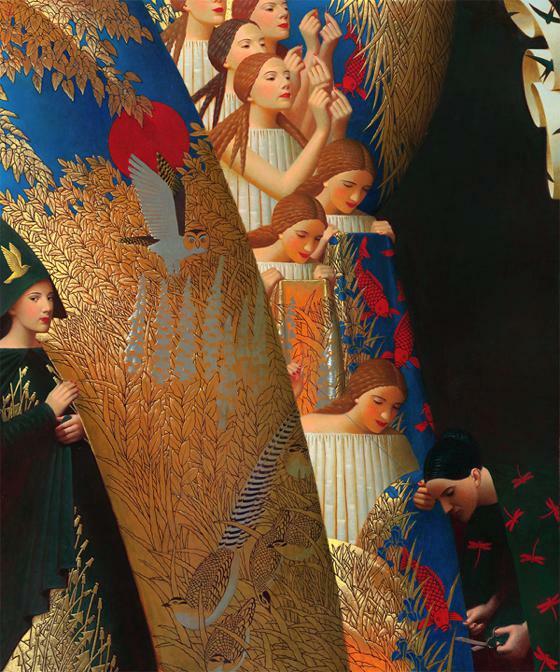 The result is a dreamy art, that preserves the sacred magic of the great churches Byzantine, but with the charm of the contemporaneity, filtered through the creativeness and the sensibility of the artist. 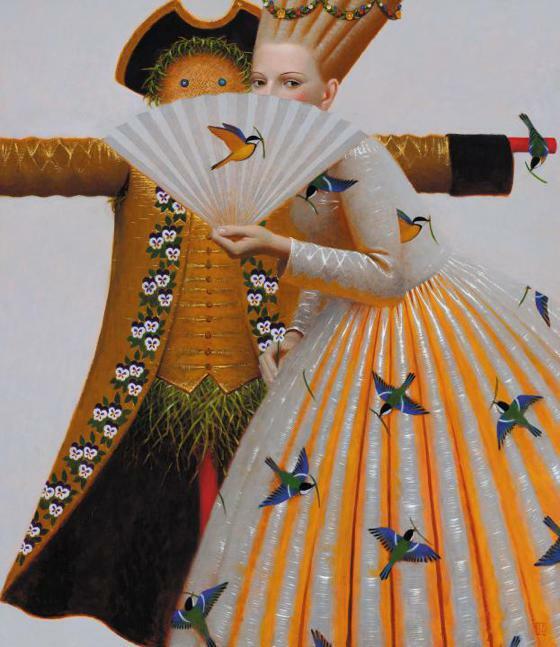 The emphasis on the decorative aspect, the attention to the particulars, to the amazing patterns and the materials as the cloths, create indeed a marvelous and dreaming universe.